Welcome to R. K. Machine Tools (India), Manufacturer and Exporter of Power Press and Can Making Machines. The company was established in the year 2012. Our Cutting edge technology and advanced manufacturing unit help us to cater Gulf Countries. Compact designs & hassle free services help us to serve Clientele like Sayaji Packaging Private Limited & Amar Tea Private Limited. We offer a vast range of Power Press, Canning and Disk Curling Machines. Our Tin and Rectangular Can Making Machinery are well known for their durability. We offer Power Press, Canning and Disk Curling Machines that are widely acclaimed in the market. Side Seam Welding and Flanger Machines offered by us are some of our best selling products. 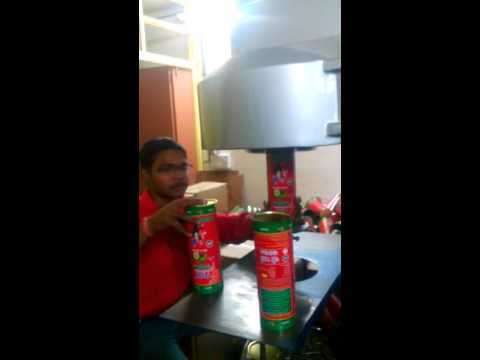 Our Die Lining Machine for Tin Can Packaging and Canning Machine for Can Industry are a class apart. We also provide Tin Container Die and Circular Body Rolling Machine for Tin Can Making that are extremely reliable.